Nature’s beauty is incomparable. 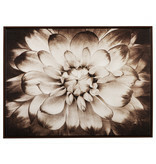 The Phiala wall art captures the essence of a blooming flower in striking brown sepia tones. Grand four-foot wide scale centers your room with a quality focal point. 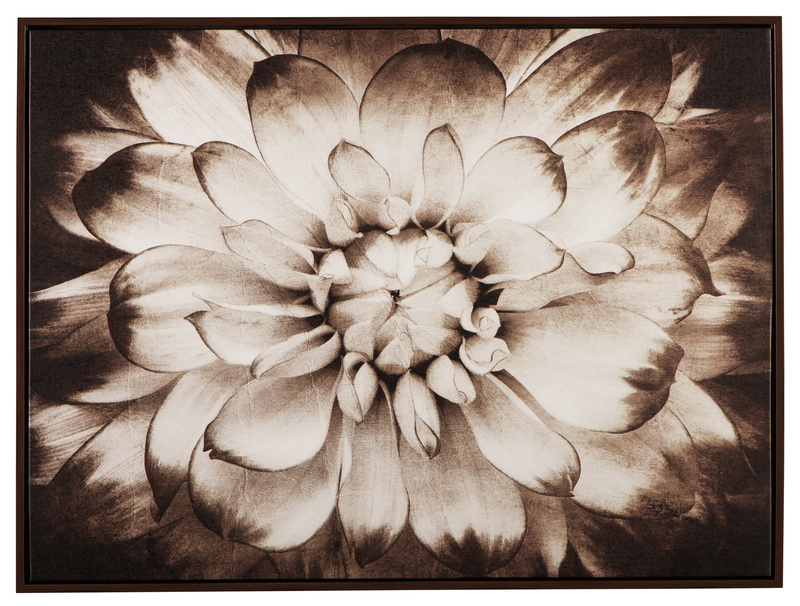 Flower Design in Sepia. 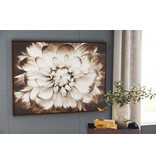 Framed Gallery Wrapped Canvas Wall Art. D-Ring Bracket for Hanging. 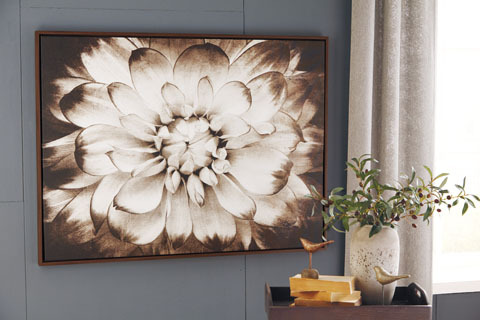 Horizontal Hanging Only.